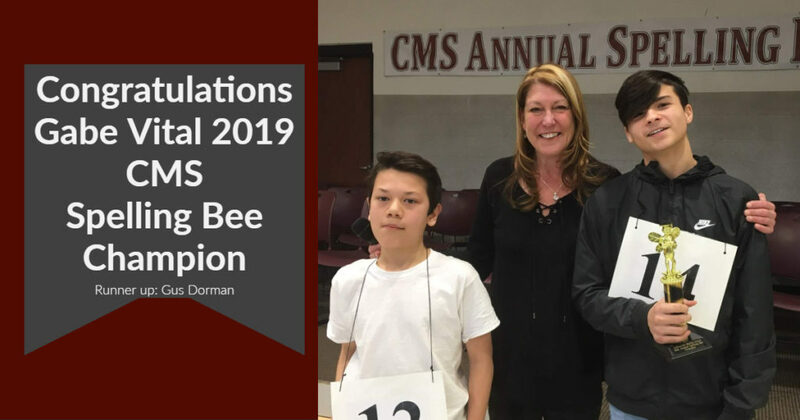 Congratulations to Gabe Vital for winning the 2019 Collinsville Middle School Spelling Bee held on January 24, 2019. Gabe will represent Collinsville in the next round of the National Spelling Bee. Gus Dorman is the runner-up.